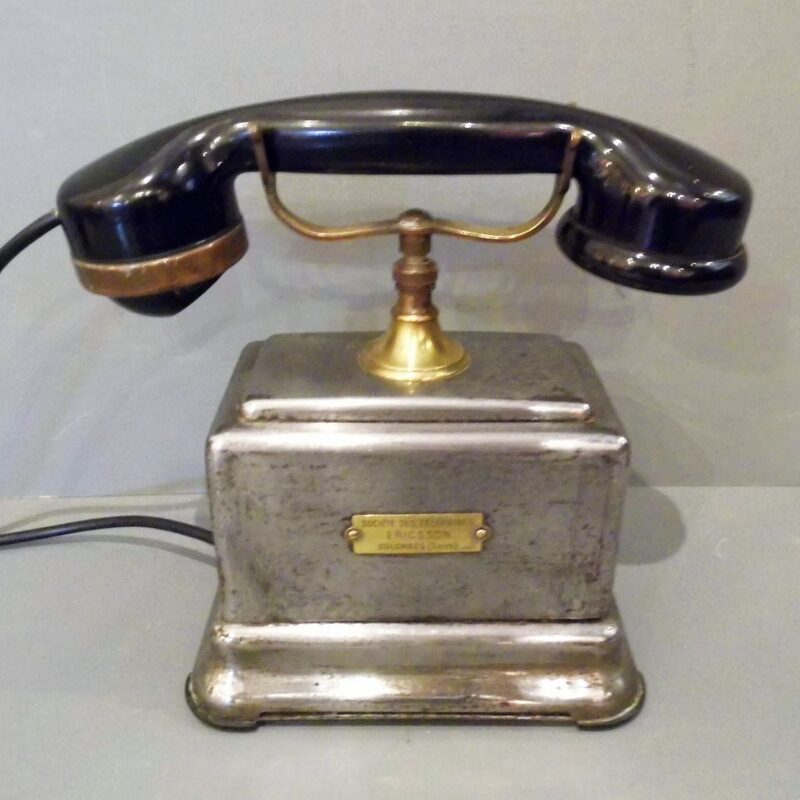 A very stylish Vintage Telephone by Ericsson made in Paris circa 1900. 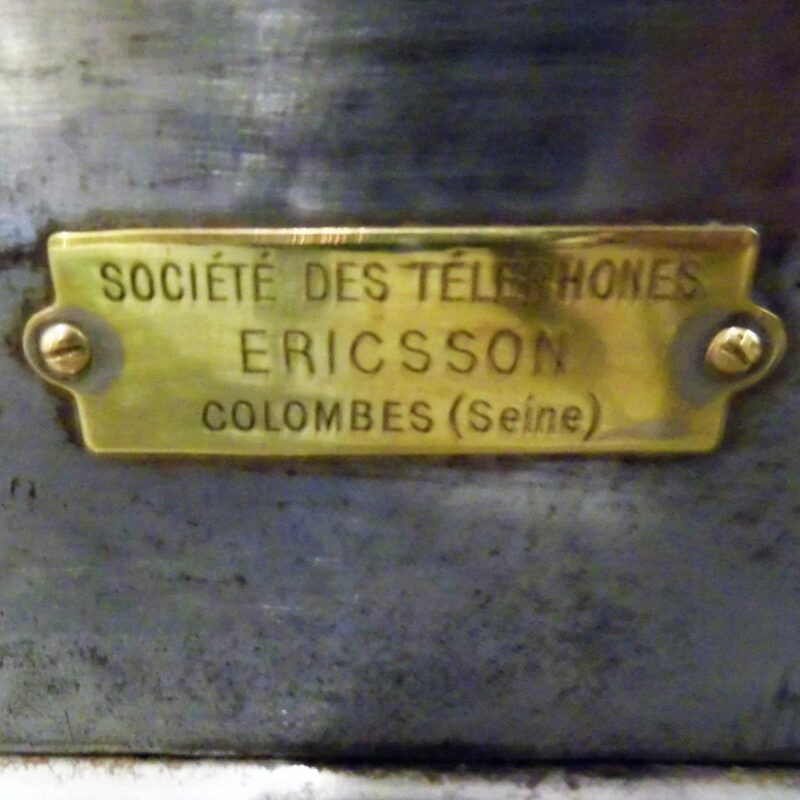 This telephone has a polished metal body bakelite headset and brass plaque inscribed Societe Des Telephones, Ericsson, Colombes Seine. It is designed for use in an internal system so cannot be used a regular telephone, but makes a great prop or collectors piece.